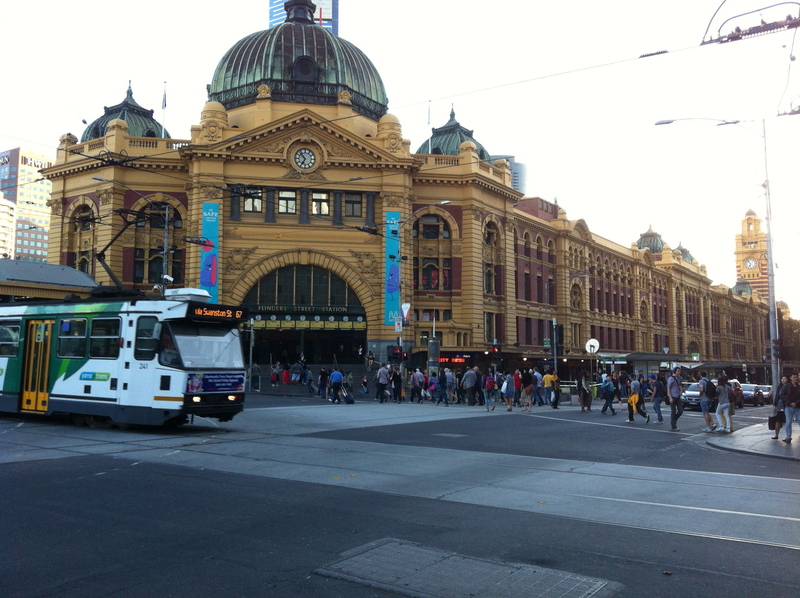 We arrived home this afternoon from a very cheeky extra long weekend away in Melbourne, so while I am fresh and still on my post holiday high, I thought I’d share some photos from our trip. Matt travels to Melbourne every couple of months for work and when he booked this trip in about a month ago, we decided to see if we could convince Grandma to come down and look after the kids so I could go with Matt this time and make a little holiday out of it! 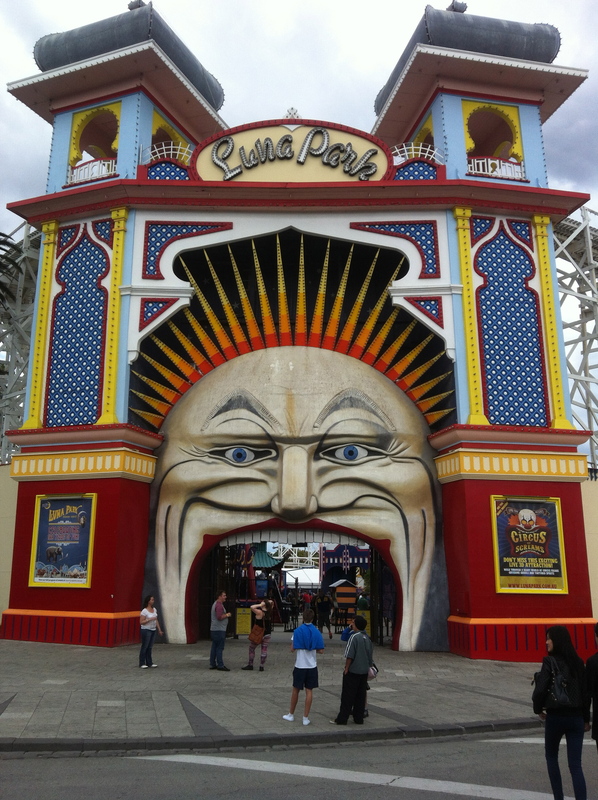 We figured that it would probably be the last city trip we would get to do for a long time due to our Around Oz trip, and the fact that we are pretty sure we won’t be returning to Brisbane at the end (so time to use up all the frequent flyer points!). Added to that it was a month out from our 10 year wedding anniversary and Zac Brown Band (yeah – if you hadn’t noticed already – we are big fans!!) 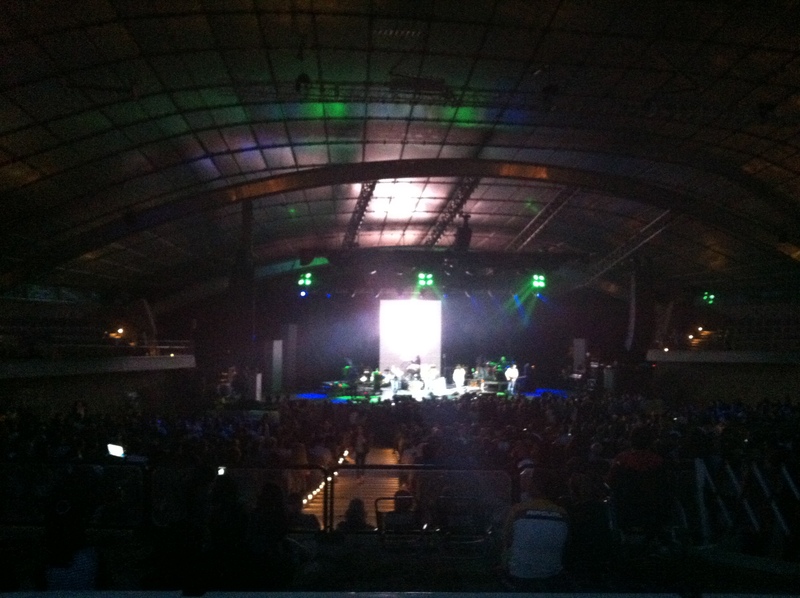 happened to be doing their first ever Australian concert on that weekend. 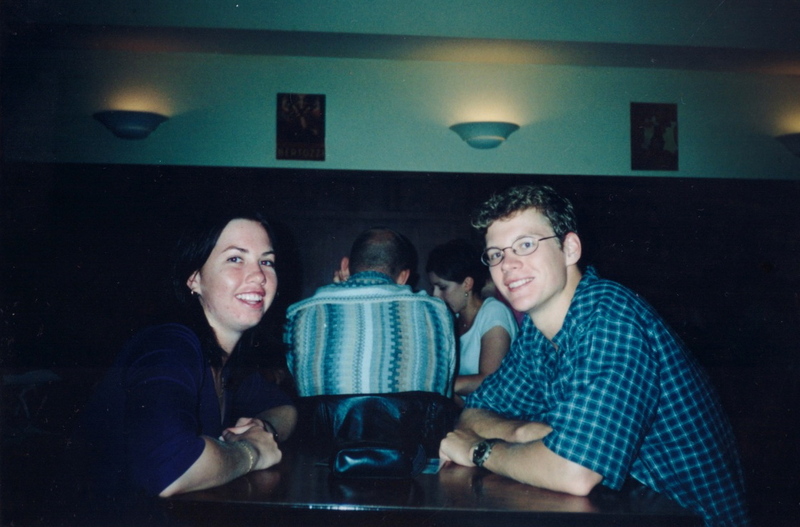 Plus – Melbourne has a little bit of sentimental value for us as it was the first ever holiday Matt and I took together as a couple way back when we were 19!!! Yeah, yeah – you can stop laughing now! We were young and skinny and had hair!! 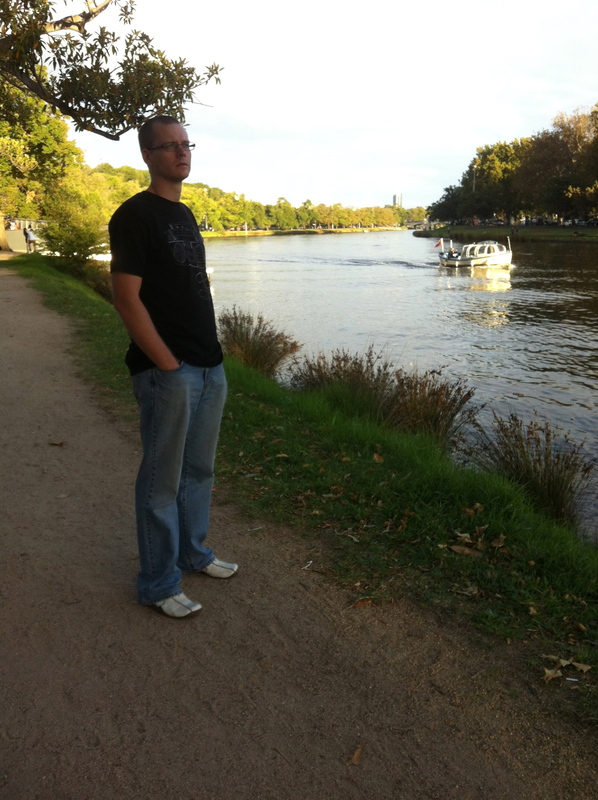 Anyway, some photos of our time away. A big thank you to Grandma Gayel for babysitting for us – we are very lucky!!! 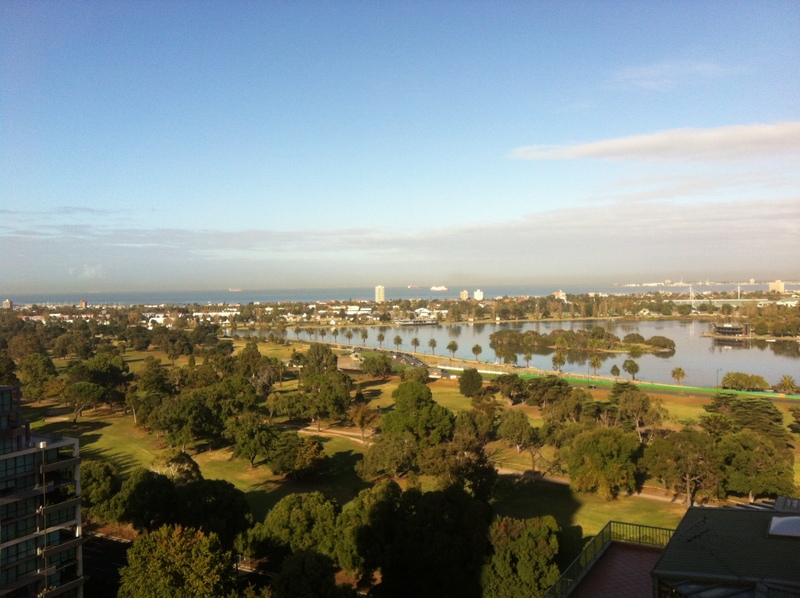 Revisiting St Kilda which was where we stayed 13 years ago! 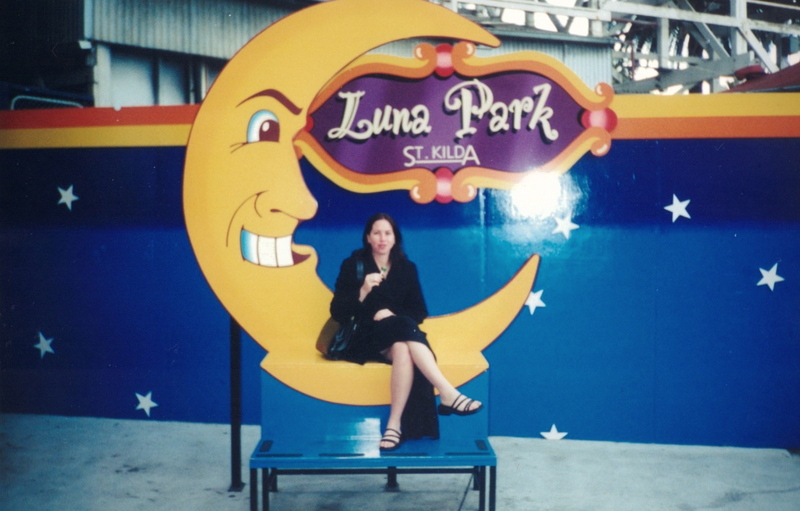 Luna Park’s still there! We stayed at the ‘Blackman Hotel’ St Kilda – really lovely, but the service wasn’t the best (I know, I know – such hardships we have!) 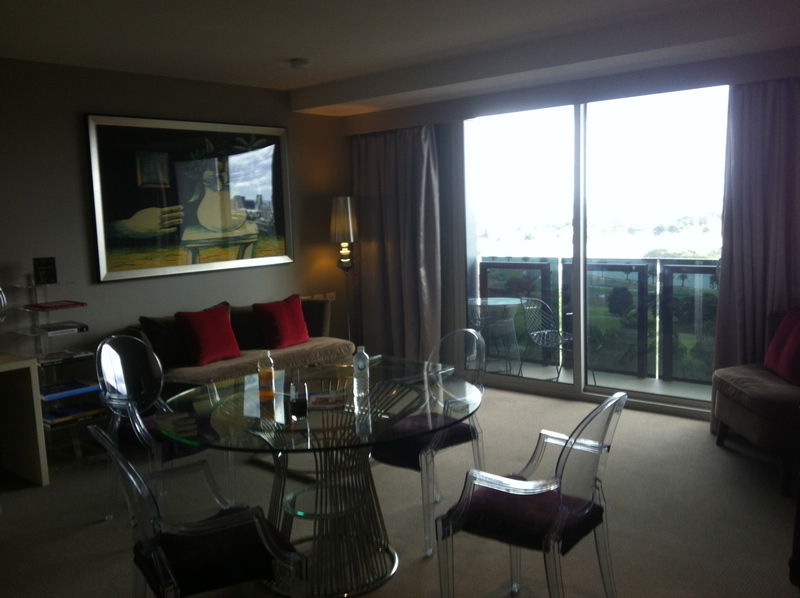 Huge step up from the dodgy, dodgy apartment we stayed in when we first visited Melbourne! Beautiful, Beautiful view from our room! 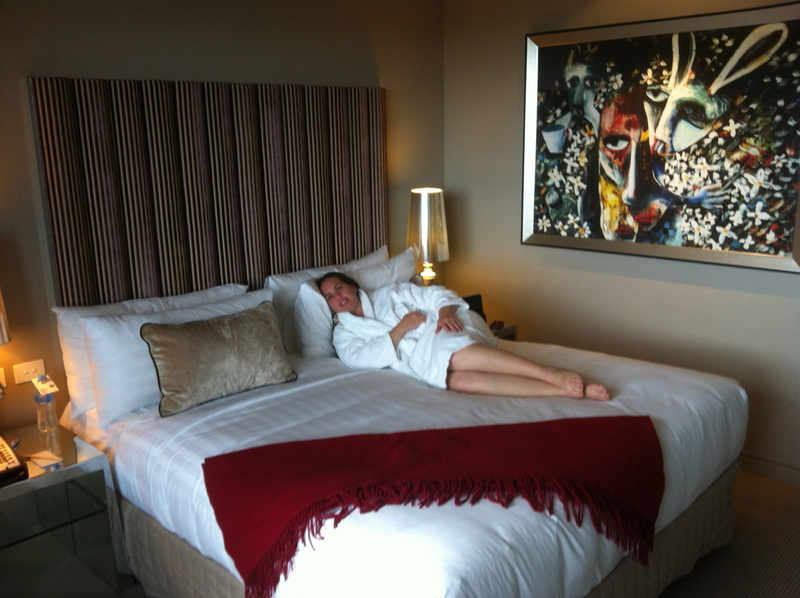 I’m a sucker for the hotel beds and bathrobes! 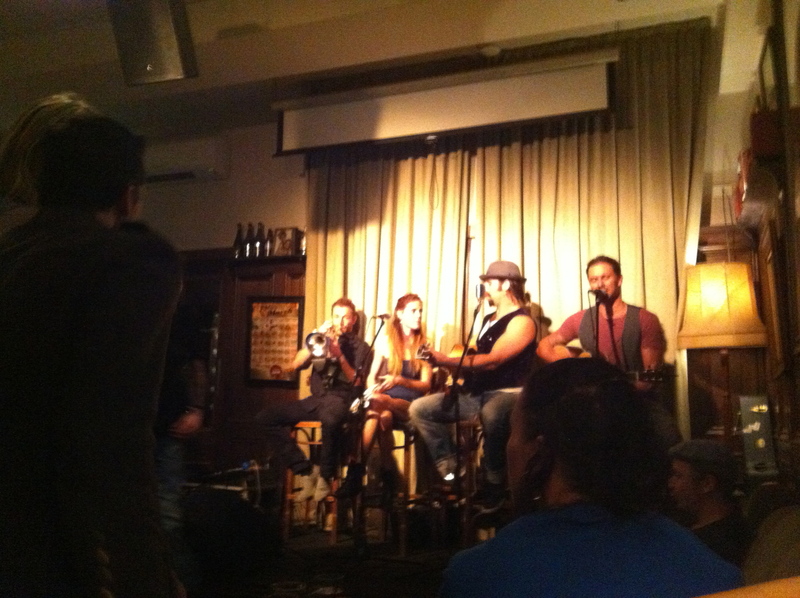 The band at ‘The Local Taphouse’. 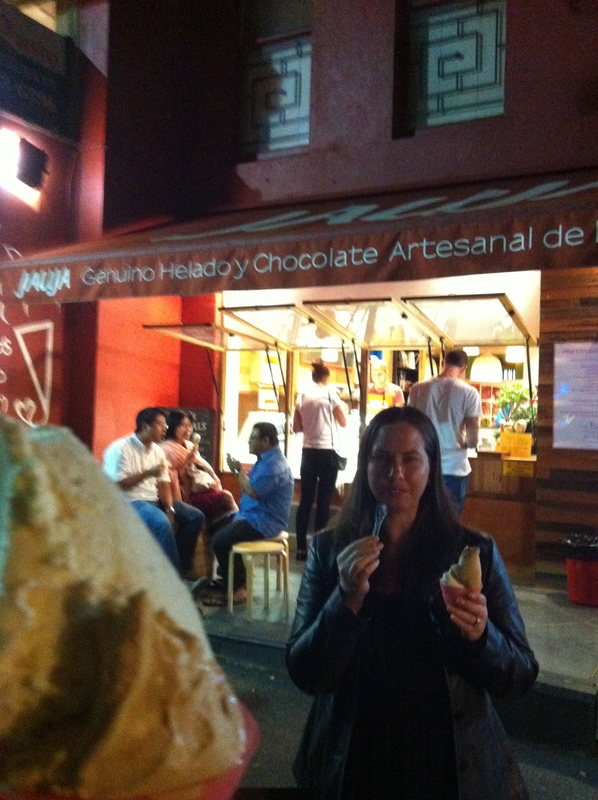 We really enjoyed them and had such a fun night we didn’t get home until 1am! Such party animals we are! 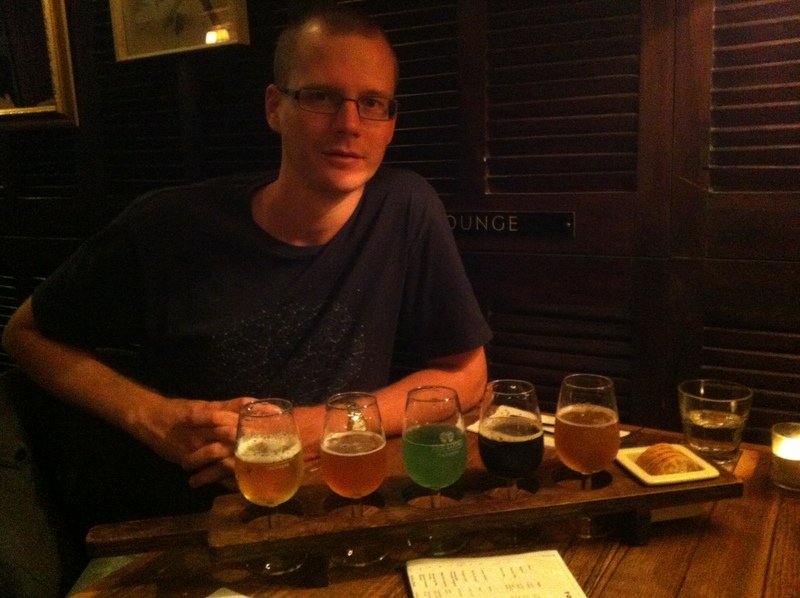 Matt’s Beer paddle – five different craft beers for tasting including the green one made using squid ink! It was refreshing apparently! 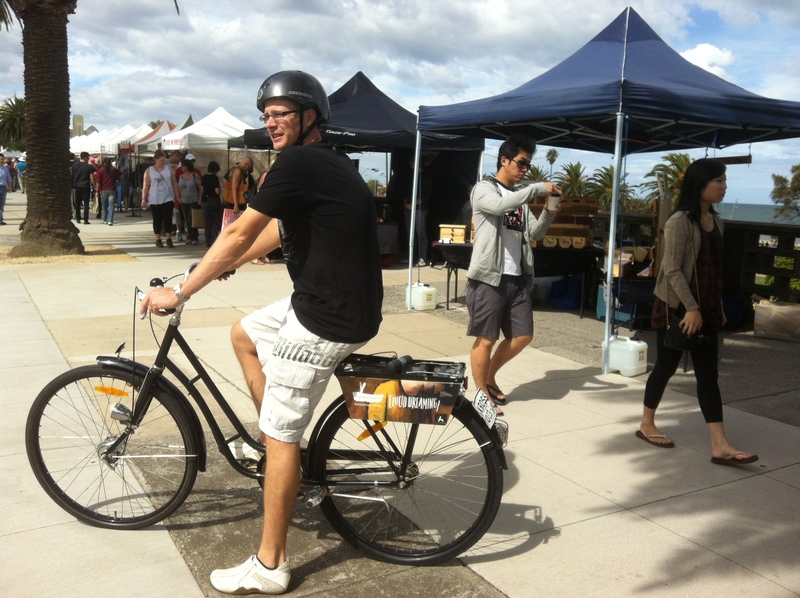 We borrowed bikes from the hotel and went for a ride to Brighton along the water from St Kilda. Just thought I’d squeeze in an IronMan while I was down there hehehe! 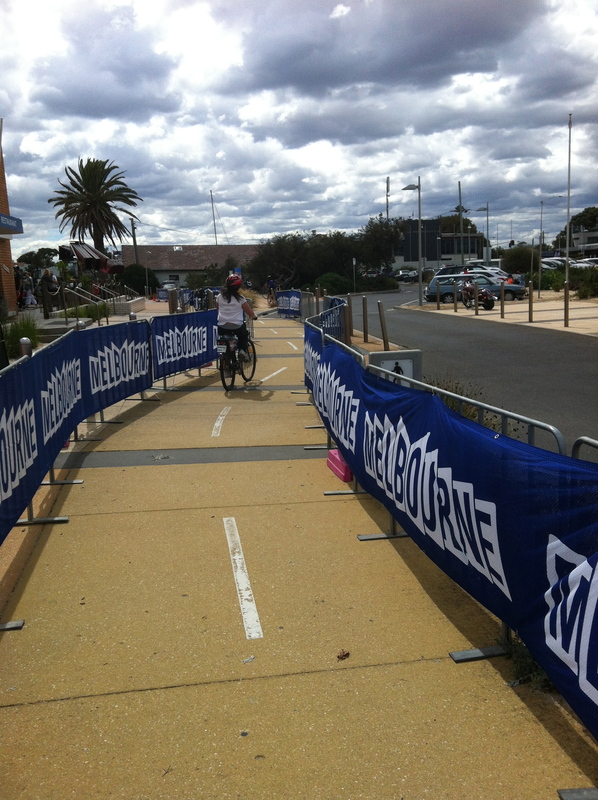 Apparently the Melbourne Ironman had just finished when we went for our bike ride! 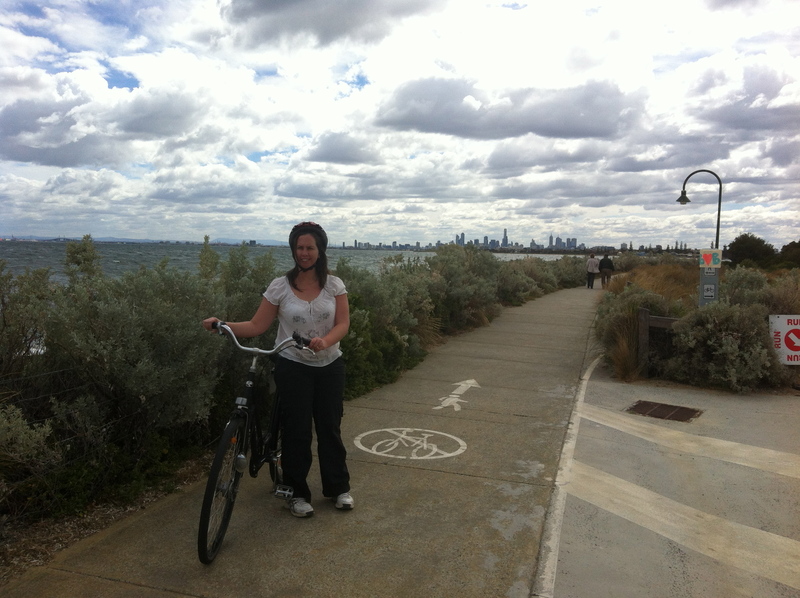 I needed a rest – it was a beautiful ride until we had to ride home into the headwind! 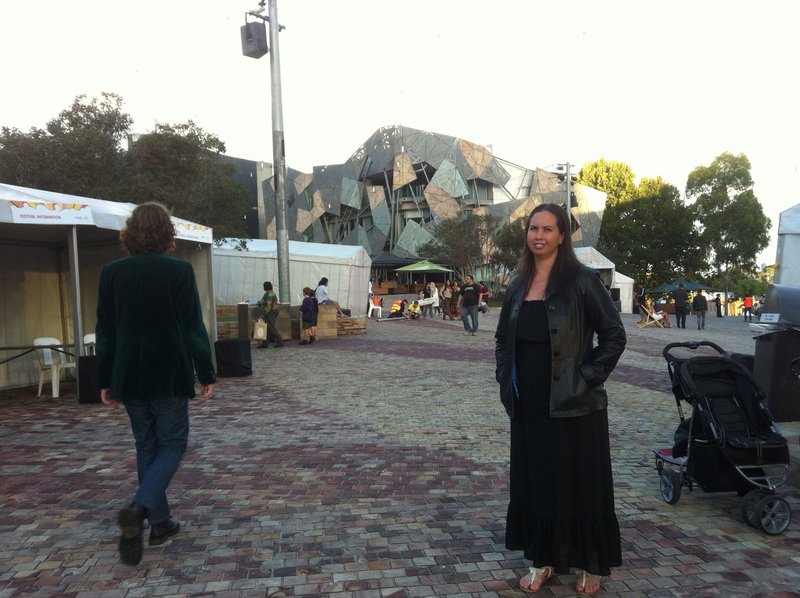 Federation Square – bit different but I liked it! 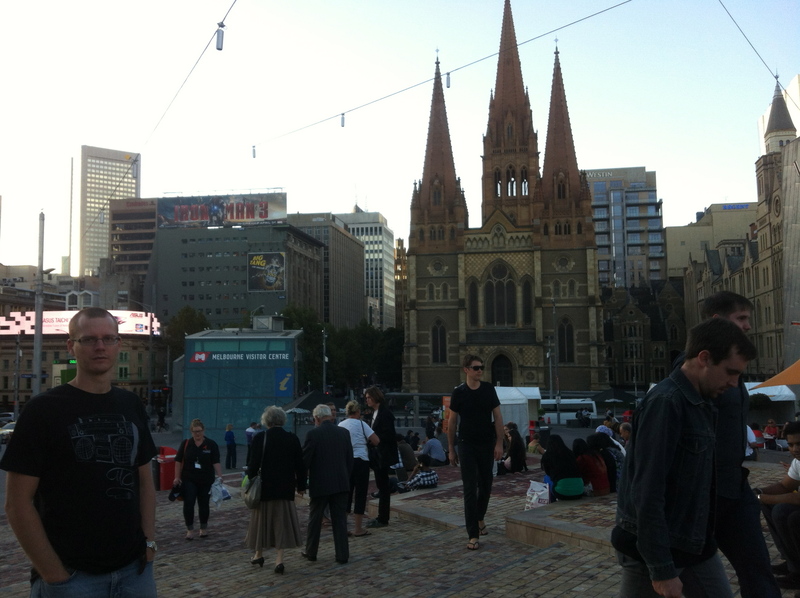 I loved all the beautiful old buildings and churches in Melbourne – really pretty! 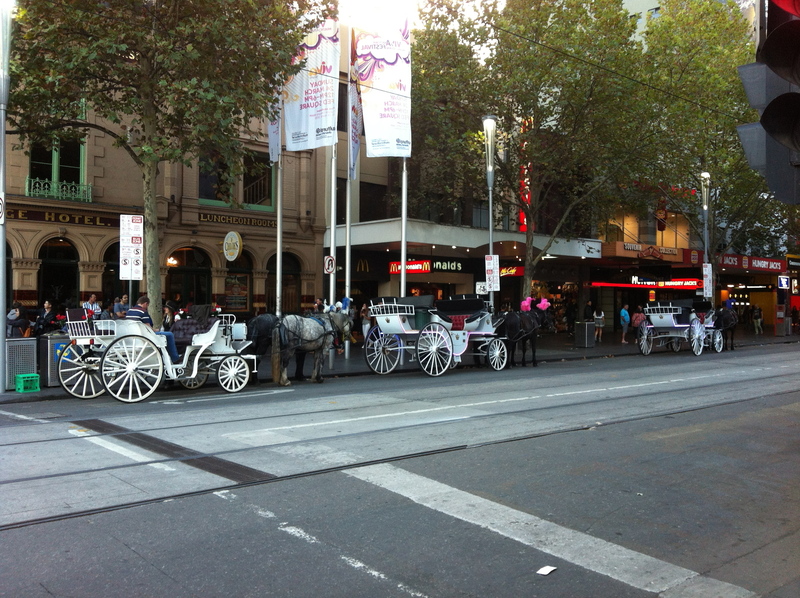 I couldn’t convince Matt to take me for a spin around Melbourne in a horse and carriage – maybe for our 20 year anniversary! 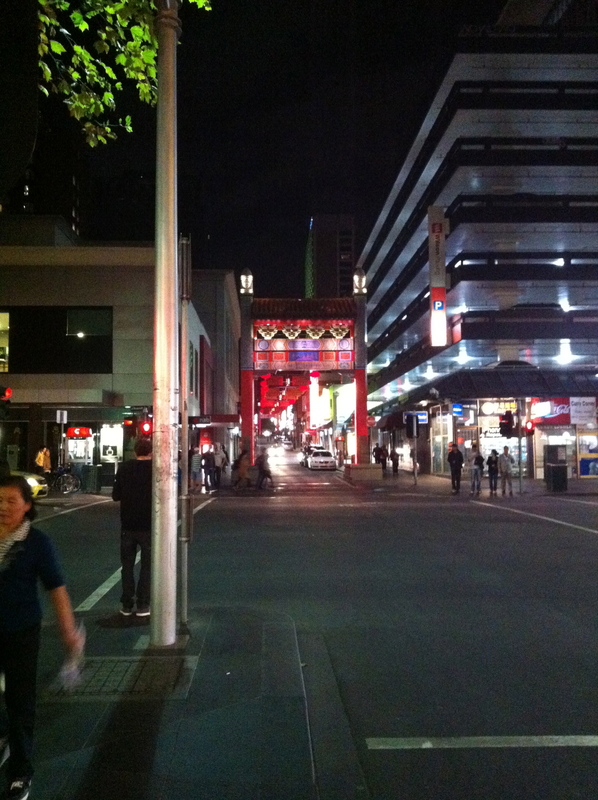 We took a walk home through China Town. 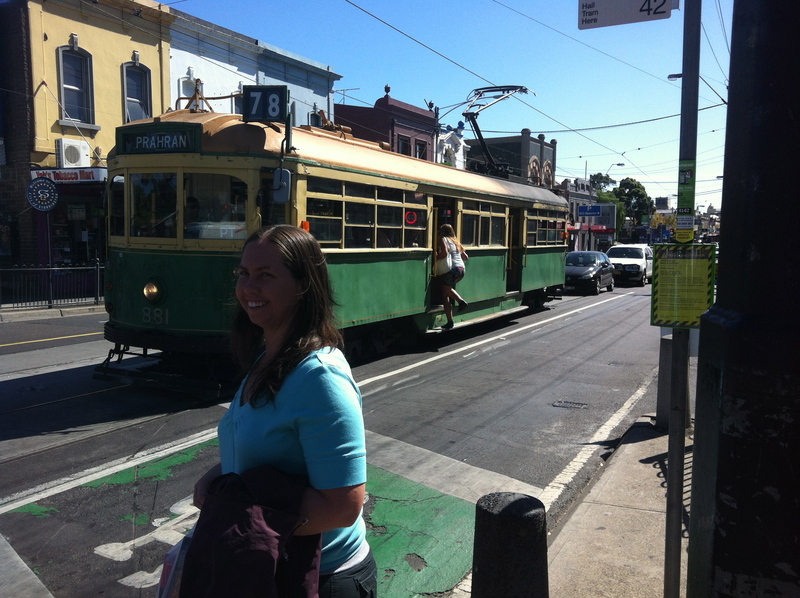 While Matt was working on the Monday, I spent the day tripping around on the Trams with a stop at DFO at Dockside – soooooo fun! Zac Brown Band Concert = Awesome – we even managed to go backstage and meet the band and have our photo taken with them! Unfortunately we weren’t allowed to take our own photos so will have to wait for the official photo to be emailed to us! Absolutely a highlight! So, back to work and reality tomorrow. It is definitely time to knuckle down and start packing up/de-cluttering the house and finalising the equipment for our trip!!! PS. Apologies for the quality of the photos on the post – they were all taken on our Iphone 4’s as we forgot to take the camera with us – no kids = don’t even think about the camera hehehehe!